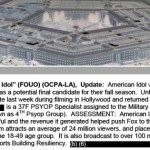 In recent years the Pentagon have not only expanded their operations in the entertainment industry, they have aggressively and pro-actively tried to expand their influence on Hollywood. This week we take a look at how they are trying to cosy up to studio moguls, make friends and influence people, and get involved at the earliest stages of production. I have touched on this topic a few times before, it is something Pearse, Matt and I first noticed a couple of years ago when looking through the 1400 pages of office diary reports I obtained from the Army’s entertainment liaison office. 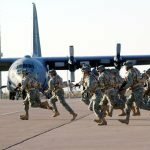 The most recent release of reports from the Army and the Air Force ELOs, along with another document I got just a few weeks ago, show that it is still going on. What am I talking about? 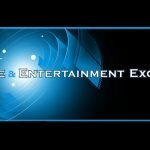 A series of intiatives whereby the ELOs are trying to expand their presence in and influence on the entertainment industry. The reason this matters is that there is nothing in the DOD’s instructions on support to entertainment media that allows for this. The instructions governing the ELOs describe an essentially passive process, where they wait for requests for support and evaluate them on a case by case basis and negotiate script changes and arrange for production assistance. In reality, they are much more pro-active not just in terms of mundane community outreach events but in ways that give them more power to determine what goes into and is taken out of major productions. This is completely unrecognised and unacknowledged by the available literature on the topic, which is why we’re going to look at it today. While the job of the entertainment liaison officers is to consider and administrate requests for military support to films, TV programmes and so on, they actually do a lot more than that. They have also sat on or presented to panels at ComicCon (described as a ‘key annual networking and outreach opportunity’) and at the National Summit on Strategic Communications, at the Producers Guild, the quarterly meeting of the steering committee of the Got Your Six campaign, The Federal Executive Board, and at events hosted by JJ Abrams, a writer-director-producer who has worked with the DOD on many occasions. Even their more benign activities illustrate the very broad spectrum of their involvement in the entertainment industry, for example when Abrams and his production company worked with the ELO to deliver over 1000 gift boxes to the families of soldiers deployed overseas. This pro-active strategy goes beyond individual shows and even individual TV networks and directly involves the biggest corporations in the US entertainment industry. In August 2010 the Army met with agents from William Morris Endeavor, one of the largest talent agencies in Hollywood. The purpose was for the DOD to find out how to better ‘align US Army interests with feature films’. The explicit goal of the DOD is to ‘enter studio projects early in the development stages when characters and storylines are most easily shaped to the Army’s benefit’. Other meetings with the heads of production for the ‘Group of 8’ (the eight largest Hollywood studios), Andy Davis, the President of Production Administration at Columbia Pictures, the scripted and unscripted production team at TNT/TBS and even small independent outfits show how eager the DOD are to get upstream in the creative process. 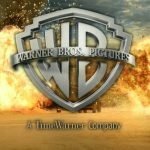 Another example is a pair of meetings involving Warner Bros. Studio in September and November 2012 where military officials met with production executives so they could ‘get involved early in the production timeline on potential projects and programs so we can help shape the topics before they are finalized by the studio executives.’ The DOD is not just assisting with films and TV shows as early as the pre-production stage but is also seeking to be involved in the process by which studio executives choose which scripts to produce or not produce. None of these meetings had been reported before these documents were released. While we don’t know the exact influence these various meetings and events had on the content of the entertainment we watch, it does help explain how our popular culture remains so militaristic, even at a time when people are relatively sick of war and don’t see any purpose in most of our foreign policy. Towards the end of the Vietnam war and immediately after it, there weren’t as many requests for military support as there were in the years and decades following World War 2. There weren’t as many patriotic gung-ho war movies being made in the 1970s as in the 1950s and into the 60s. The studios responded to popular opinion and the anti-war movement and found other settings for their entertainment. I know of no such campaign during the Obama White House, and it seems the military just decided to do it for themselves. And it does seem this is a recent development – when I read the older ELO reports from 2004-2006 there is some mention of activities beyond production support, but no reference to meetings like this. Remember, the Obama administration dropped the term ‘war on terror’ because they felt it had become unpopular, it had too many negative connotations. The war on terror was rebranded the ‘struggle against violent extremism’, which of course involved the moderates ordering a lot of violence, surveillance, kidnappings, torture, drones strikes and so on. A lot more than the terrorists, at any rate. So, with this rebranding some people feared that Obama would be ‘soft on terror’ (though he wasn’t) and I’m guessing this is the origin of the military’s new, pro-active approach. I could be wrong, it strikes me that aside from Reagan’s presidency the White House doesn’t have much to do with the military’s Hollywood offices at all. The more recent ELO reports reveal a somewhat different set of initiatives. They show that following up on the meetings with Warner Bros. the Army seem to have developed a close working relationship with that studio. Bear in mind it was Warner who produced Man of Steel and the DC Extended Universe to try to rival the Marvel Cinematic Universe, who fell out with the Pentagon during the production of The Avengers. They even pitched Warner a movie idea based on the book Lions of Kandahar, which tells the story of a battle in Afghanistan in 2006. 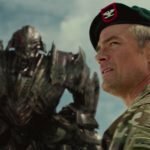 The film hasn’t been made, but it shows that the Army are quite happy to go way beyond the instructions governing their Hollywood operations. Similarly, Warner reached out to the Army at a very early stage in their adaptation of the computer game Rampage, from the 1980s. According to the wiki on the original game, ‘Players take control of gigantic monsters trying to survive against onslaughts of military forces. Each round is completed when a particular city is completely reduced to rubble.’ Admittedly, this sounds absolutely awesome and might make for a good movie, but again it illustrates how close this relationship has become. Likewise, when Army HQ turned up for a soapy meet and greet the ELO arranged a tour of Warner studios and a meeting with their Vice President for Government Affairs. Not long after, when that Vice President at Warner was retiring the Army ELO attended their retirement ceremony, to ‘gain further exposure with the studio executives’. There’s something very American Psycho about that sentence. Another way they’re trying to win friends and influence people is by inviting bigwigs on tours of military installations. This is a way of inducting them into the military world, and thus explicitly or implicitly encouraging them to promote the military. The Air Force version of this is quite sophisticated and we’ll get to in in a minute, but the Army’s reports detail a tour of Fort Irwin with ‘COIs’ – a horrible acronym that stands for Centers of Influence. A later entry records how 9 COIs went on the tour in November 2015, who were ‘writers, producers, and other entertainment executives who are clients of Creative Artists Agency’. They arranged other tours, including of the Institute for Creative Technologies – an Army-funded laboratory that among other things develops next-generation cinema technologies. They also arranged a tandem skydive involving COIs and events including SOCAL COIs and the LA Recruiting Battalion. They also had a meeting with an executive from Goldman Sachs who is ex-Army and wanted to participate in local events promoting the military. Does this sound like an office who just play a minor role on the sidelines of Hollywood, supporting the occasional film and TV show to help recruit a few soldiers and ensure greater accuracy in scripts? Or does it sound like an extremely pro-active campaign to build a network of friends in positions of influence to participate in the ongoing militarisation of pop culture? In the Air Force reports from the last couple of years I found references to the ‘Alaska CLT’, which I assumed stood for ‘Civilian Liaison Tour’ because it evidently referred to a tour of an Air Force facility in Alaska. I emailed the ELO asking them to clarify this, and they referred my question back to the FOIA office, who said it wasn’t a FOIA request. I still haven’t received an answer to that email, but I did file a FOIA request asking for documents on the Alaska CLT. What came back was about 70 pages of miscellaneous records, a lot of which involve expenses, some of which is quite interesting. ‘CLT’ actually stands for ‘Civic Leader Tour’ but this was specifically for leaders in the entertainment industry. The purpose was to ‘project and protect’ the image of the US Air Force ‘within the global entertainment environment’. This is exactly the sort of language they use when describing propaganda operations in foreign countries – they see Hollywood as ‘the global entertainment environment’. The itinerary includes visits to a brewery and a chance to meet some Military Working Dogs and to get ‘up close and personal’ with some F-22 Raptors so this was obviously designed to do more than ensure greater accuracy in storytelling. 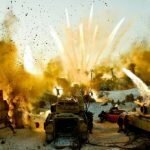 It was about buttering up dozens of Hollywood bigwigs to encourage them to portray the military well, or to consider making more military-themed movies. They even encouraged them to take pictures and post them on social media, suggesting hashtags to be used. I can only find one picture on the whole internets that actually did this, but it shows how the ELOs are very much PR people, they’re not halfwit rubes bumbling around, they’re intelligent people. It’s Election Season! As Americans. we‘ll be a mere ten days away from electing a new President. A third of the US Senate, and the entire House of Representatives (not to mention local races!). Because we‘ll all be together as a group for three entire days. we respectfully request that participants refrain from political discussions in public spaces and events for these three days. such as on board a military aircraft. Because we are an apolitical military force that swears an Oath to uphold the Constitution of the United States. and we never swear an oath directly to any specific elected officials. we feel it is especially important to please refrain from asking any uniformed service member for whom they plan on voting. Military members at large remain very leery of what we call “undue command influence”, i.e. a senior military member unduly influencing a more junior member’s vote or mindset. Please help us by refraining from any political questions or debates with uniformed military members during the trip. Thank you! There is also an FAQ where they talk about ‘future opportunities for creativity and growth’, and one of the questions asks if the participants have any obligations to the military after going on the tour. It says ‘The short answer is no’. So presumably the long answer is yes? There are also some invoices for some very cheesy mementos – certificates and things like that – for these multi-millionaire executives to take home with them. Admittedly, not all the participants were executives, but some certainly were. A full list, with names, is given and it includes a production exec at Warner, an Executive Producer at Marvel/ABC, other producers at ABC and Fox, the CEO of Landmark Theatres and various other writers, journalists and film-makers. How did they get all these people to go on a tour of a couple of Air Force installations in Alaska, in October, when’s it’s freezing, especially if you’re used to living in Southern California? The ELO reports record that Rick Loverd was key in generating interest for this event. Who is Rick Loverd? He’s the program director at the Science and Entertainment Exchange, or SEEX. SEEX are the Hollywood liaison office of the National Academy of Sciences – a quasi-autonomous non-governmental organisation who get most of their budget from the government and were created by an act of government. I will get more into who they are and what they do in a later episode, but it’s interesting to see that despite being a non-government organisation, at least officially, they were happy to help out the Air Force. Loverd’s name turns up in several entries in the ELO reports since the 2016 tour, so clearly they are also developing a relationship. In sum, the military entertainment liaison offices are developing a number of different ways of ingratiating themselves into the upper social circles of the entertainment industry. 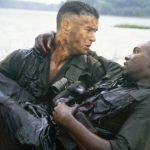 They are cozying up to executives, inviting writers on ‘once in a lifetime’ tours of military facilities, sucking up to producers to gain influence on films at an earlier stage – there’s a lot here. The exact results of this are hard to gauge but they wouldn’t be doing all this if it wasn’t working. 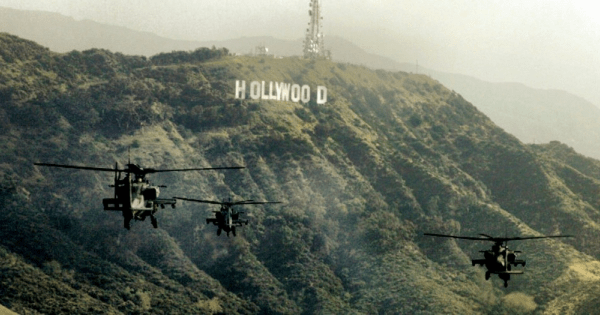 So I put it to you that the Pentagon sees Hollywood as just another information space to be conquered, as just more territory to be subsumed within the ever-growing military-industrial complex. All of these activities are done with a charming smile and a friendly manner, I’m sure, after all this is California we’re talking about. But every once in a while the language in these documents reveal a subtle, cunning mentality that enables a steady growth of influence in this domain. For what it’s worth, I think they’re taking a leaf out of the CIA’s playbook in adopting this more aggressive, pro-active strategy. The CIA have a lot less in the way of cinematic assets so the primary thing they have to use as leverage is access to interesting stories, unusual information, and secrets. Because of this they have the ability to influence scripts at an earlier stage than the Pentagon, and they’re better at developing relationships with useful people because that’s what the CIA does all the time. 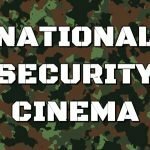 While the DOD influences a much larger number of products, the CIA probably has more influence over the individual films and TV shows it supports. The US Army’s Very Friendly Relationship with Warner Bros.